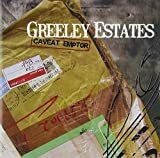 GREELEY ESTATES IF ONLY SHE KNEW LYRICS"
will she ever learn to trust again? will she ever be the same again? will she ever find hope again? thanks to them, she'll never feel safe again. All Greeley Estates - If Only She Knew lyrics are property and © copyright of their respective owners. All If Only She Knew lyrics provided for educational purposes only.